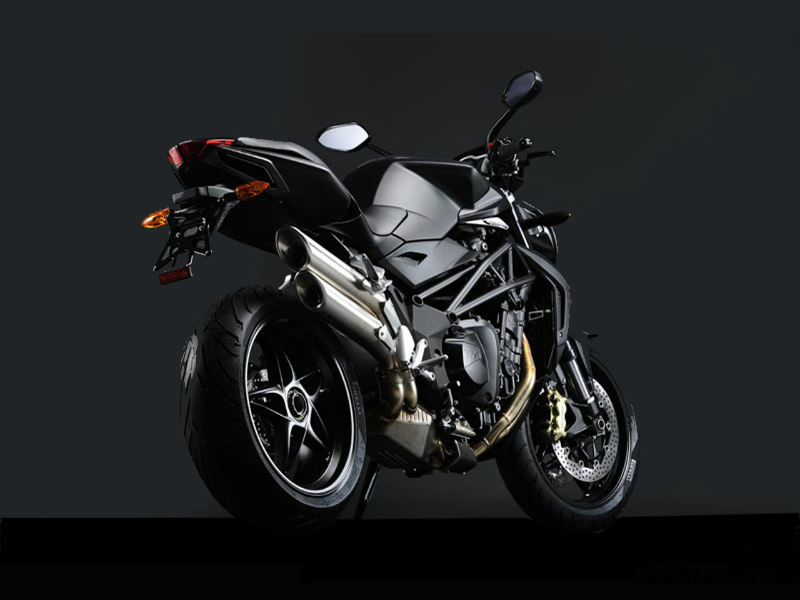 The incredibly beautiful and stunning naked bike, MV Agusta Brutale 920 is all ready to be released in India by mid-2013. With its impressive looks, Brutale 920 has the charisma to stun every passerby. 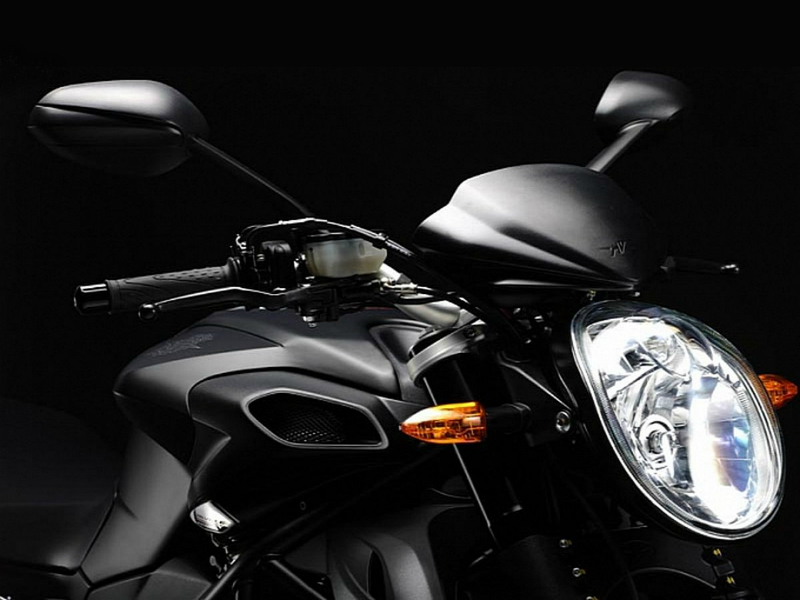 The unique design, advanced technology and better performance of the bike makes it the real masterpiece. Packed with some of the best features such as powerful motor, good chassis and quality bodyworks, riding and handling this vehicle becomes more pleasurable. The vehicle is equipped with efficient four cylinders, 16 radial valves and 4 stroke engine with all the new technological features to assure better performance. With the displacement of 921 cc the engine provide more power which is necessary for that thrilling speed. To get this new displacement, the bore and stroke ratio is so adjusted to optimize the power curve. The maximum power generated from this is about 129 Bhp at 10500 rpm and the highest torque achieved is 95 Nm at 8100 rpm. This is one of the most stylish and admirable naked bikes in the world which has become successful in winning the hearts of people from varied class. Broader wheels, single piece comfortable seat, well-crafted headlamp, better placed turn indicator and uniquely designed exhaust pipe makes this bike the real masterpiece. The amazing color schemes and curvy body works are other not to be missed points which add to the elegance of the vehicle. 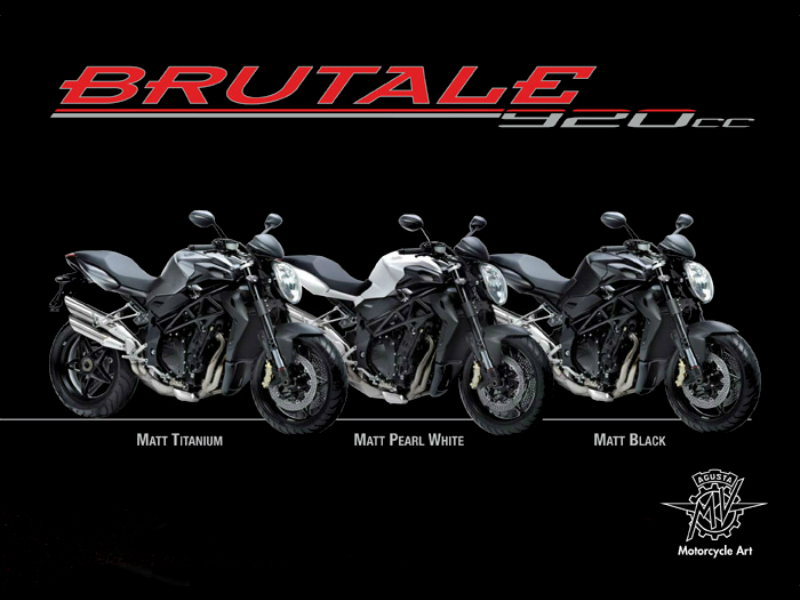 Brutale 920 comes with a quality chassis system which is similar to other top end models of Agusta. The braking system including the front 310 mm twin disc and rear 210mm single disc serves as a boon as it is very quick in de-accelerating the vehicle quickly, thereby providing complete control to the rider even at higher speed. Further for smooth and trouble free ride the suspension namely the front telescopic hydraulic fork and rear progressive single shock absorber works like a magic. The exact detail about the mileage it offers is yet to be known. The stylish and yet to be released vehicle in India will cost about Rs. 16,00,000 and the colors available with this are matt pearl white, matt black and matt titanium.